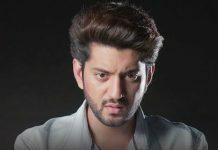 Ishqbaaz: Mohit’s revelation, Nancy’s murder twist and more….. Anika gets upset with Shivay, that he gifted a dress to Nancy. Shivay asks Anika to trust him, he didn’t do anything that hurts her heart. Mohit clears her misunderstanding and tells her that he has got the dress to Nancy and took Shivay’s help to surprise her. He tells Anika that she is wearing the dress Shivay got for her. He tells that Shivay never mentions his good deeds. Anika feels sorry for misunderstanding Shivay. She apologizes to him. He tells her that he will always respect her, even if he doesn’t regard her wife. She asks him to give her some attention, she is hurt that he doesn’t give her time. He tells her that she is the best. He doesn’t want her to compare herself with anyone. He tells her that she is special for him. He compliments her and tells her that she is the prettiest girl in the world for him. She thanks him. Rudra and Tej get into a funny scene. Rudra makes his special punch. Shivay and Anika get happy together. Nancy turns jealous seeing their close moment. Shivay embraces Anika. Bhavya jokes on Rudra. She teaches him a lesson. Rudra gets angry that she is attending a party at his home and throwing attitude. He gets smitten by her beauty. Omkara asks Rudra to come to senses and do his work. Omkara’s eyes gets stuck on Gauri. Anika shares her happiness with Gauri. Gauri understands that Anika is happy because of Shivay. Anika, Gauri and Bhavya share their friendly moment, while Obros get to the bar. Rudra lies to Shivay and feeds his special punch. Omkara also gets drunk. Obros get to their silly best and share a laugh. Omkara and Rudra ask Shivay to go to Anika and confess love. They want Shivay to realize his feelings and do something life-changing. Shivaye tells them that he is also thinking the same, he also wants to tell Anika about his feelings so that their life changes. He goes to tell something important to Anika. Nancy keeps an eye on them, and finds them romancing blissfully. Anika can’t wait for the love confession and asks Shivay to just say it. Mohit asks Shivay to come with him for a drink. Shivay tells Anika that he will tell her something once the party gets over. Her expectations get high. Rudra’s special punch drives everyone crazy. The party gets over. Everybody feels sleepy. Bhavya makes a leave. Nancy asks Anika about Shivay and Mohit. The best friends celebrate their friendship in drunken state. Anika and Nancy find them and ask them to finish their get together. Anika insists Shivay to come and sleep. Mohit doesn’t let Shivay leave. He tells her that Shivay will be with him and talk all night. Anika lets him spend time with Mohit and goes. Shivay sings friendship songs with Mohit. Shivay tells Mohit that he is really happy that his friend showed belief in him in Nancy’s matter. He asks Mohit about the girl he met in the parking lot. Mohit tells him that that girl was his wife. This shocks Shivay. Mohit tells him that he is just kidding. Shivay rushes to talk to Anika and tell his feelings, but Nancy comes in his way, only to get spotted by Tej. Tej becomes a witness of their bonding. Shivay gets into huge trouble when Nancy gets murdered.